The lovely birds are gregarious and noisy, preferring to live in flocks. They take their common name from their black and white coloring, which resembles that of a magpie. Courtship includes dancing and flight displays. The male will offer food to the female. If she accepts, it indicates that she is receptive to breeding. Eggs are laid in a cup-shaped nest. Incubation lasts about 3 weeks. Both parents feed the chicks, occasionally assisted by offspring from previous seasons. 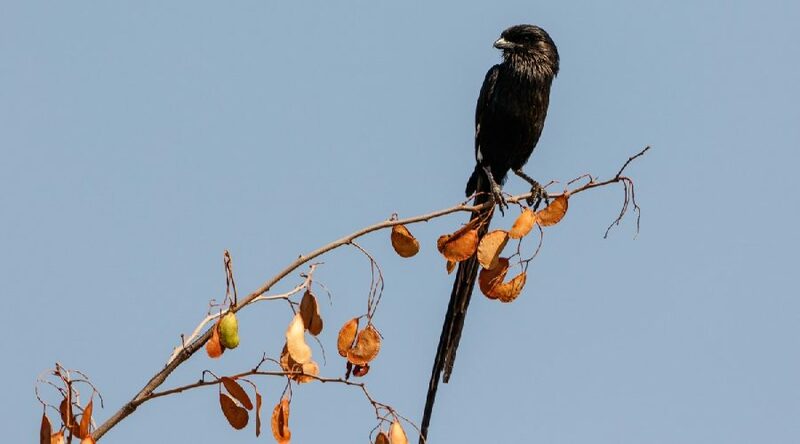 Shrike are known for creating “larders” of dead prey items. Because they have small beaks, they must let their food soften a bit before eating. They will impale prey on acacia tree thorns and leave it to hang and rot slightly, softening it enough to eat.